A gentle, untouched aesthetic invites the balance of the natural world into your environment, connecting you to colors and textures of the landscape. 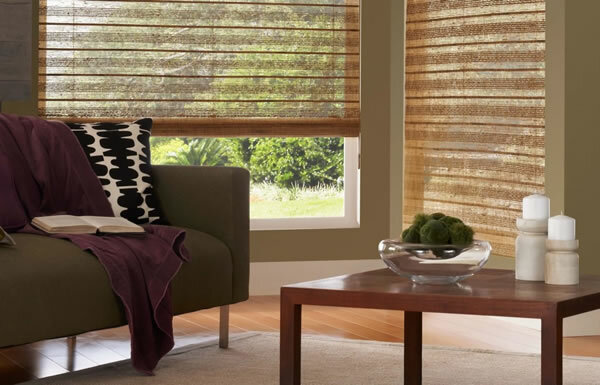 In keeping with this rustic trend, woven wood shades are crafted from renewable resources such as bamboo, jute, and grasses. 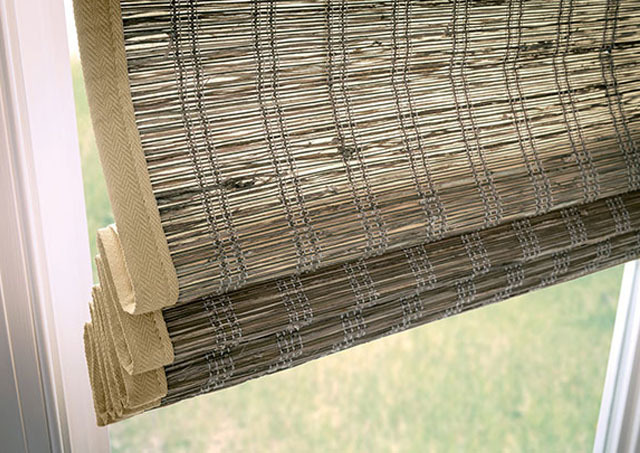 These shades add breathtaking organic beauty to windows and are available as Woven Wood Drapes to cover, patio doors, or closet doors-and they coordinate easily with our line of sliding panels for a whole-room solution. 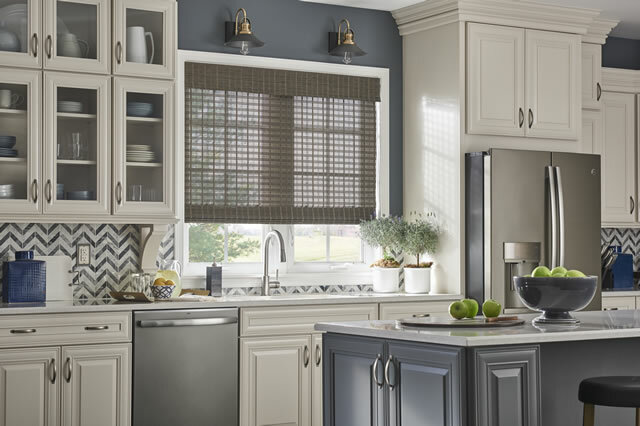 With optional liners, you can maintain your desired level of privacy and light control.